We were on one of our long walks, when my little niece excitedly pointed out this heart of light. I barely had time to take a picture of it--then it was gone. Just a flitting bit of magic, rather like the kiss of an angel. Tuesday, we were expecting thunderstorms all day long. 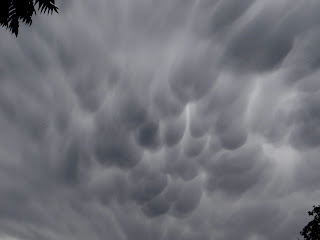 We didn't have thunderstorms, but I saw some mighty interesting "bubble" clouds. 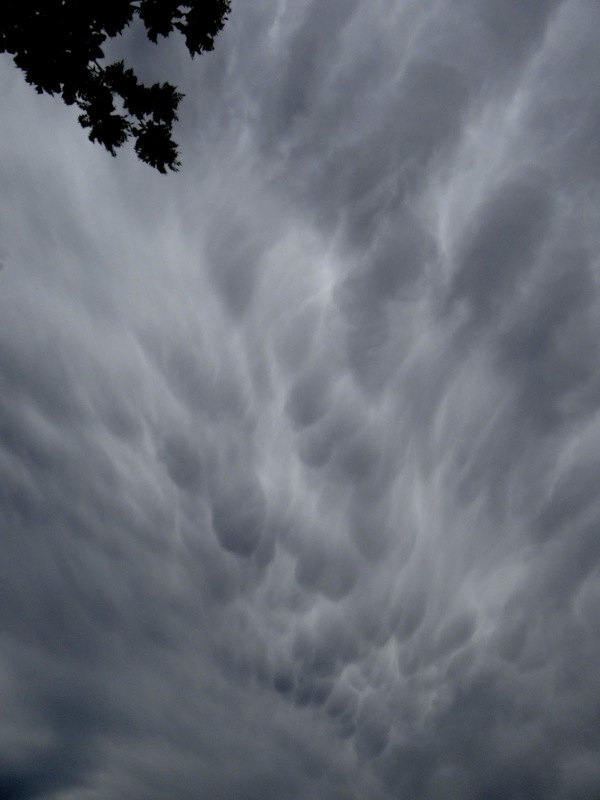 It looked like the sky was boiling. 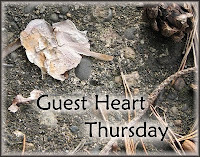 Of course, you see all the upside down hearts--just perfect for Guest Heart Thursday!